The economic and propaganda pressure applied on Russia by Western nations has backfired and is now undermining the wealth and political unity of those nations, State Duma Chairman Sergey Naryshkin said in a parliamentary speech. “We can see that the external pressure on Russia continues, both in the economy and propaganda sphere. 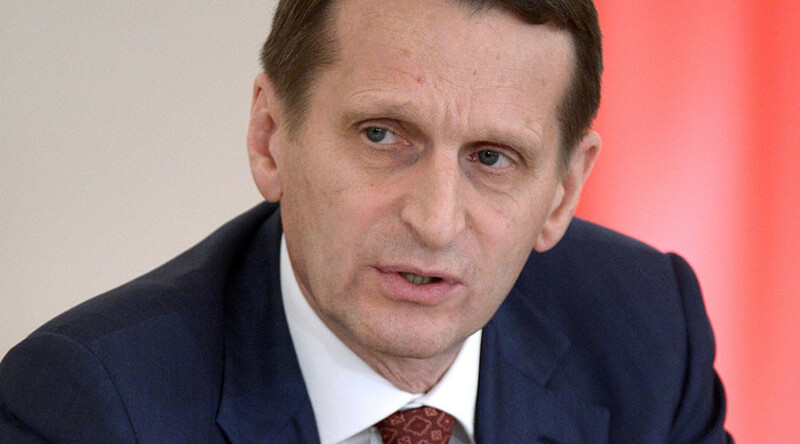 But our opponents across the ocean [Western nations] have applied excessive effort in their attempt to make us weaker, and now they are undermining the foundations of the Western world’s prosperity,” Naryshkin said as he opened the new spring session of the State Duma on Tuesday. “Now their own analysts are forecasting a serious weakening of the interaction between the European Union and the United States, and Great Britain has forwarded a number of demands to the EU headquarters in Brussels that can drastically change the very nature of this integration project. We are speaking about a possible return of powers from European structures to national parliaments,” the Duma speaker added. Despite these efforts, the manifestations of the global economic crisis have become more frequent and the fate of the whole world now depends on the success of the joint international operation against terrorism, Naryshkin said. “We continue to call for all civilized nations to unite their efforts in restoring peace and stability in the Middle East and North Africa,” he stated. In the same speech, Naryshkin said it would do more good for the settlement of the Donbass conflict if European nations shifted their attention from Moscow to Kiev and forced the current Ukrainian regime into observing ceasefire agreements. “I want to believe that France and Germany will maintain constructive and objective positions in the Donbass talks and the proponents of the anti-Russian sanctions will understand that, within their logic, the sanctions should be slapped on Kiev officials for blatant violations of the terms and conditions of the Minsk accords,” Naryshkin told Russian MPs. In late December 2015 the leaders of ‘the Normandy Four’ of France, Germany, Russia and Ukraine agreed to extend all of the Minsk peace agreements into 2016. The four sides emphasized the importance of holding local elections in the two breakaway republics in Donbass by the end of January 2016, with assistance from the OSCE. The next meeting on the Minsk accords is expected to take place in late January between the foreign ministers of the four countries.